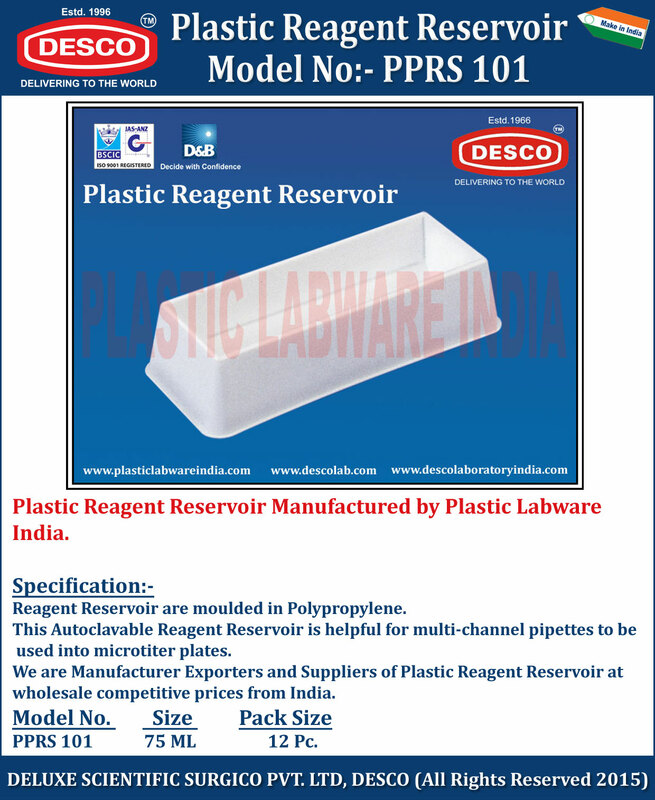 Reagent Reservoir are moulded in Polypropylene. This Autoclavable Reagent Reservoir is helpful for multi-channel pipettes to be used into microtiter plates. We are Manufacturer Exporters and Suppliers of Plastic Reagent Reservoir at wholesale competitive prices from India. PPRS 101 75 ML 12 Pc.